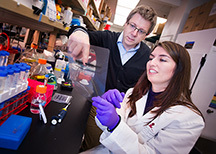 J. Paul Taylor, M.D., Ph.D. and Regina-Maria Kolaitis, Ph.D. In work funded by The ALS Association through its support of Regina-Maria Kolaitis, Ph.D., a Milton Safenowitz Post-Doctoral Fellow, researchers have shown that an ALS-related protein is involved in clearing RNA-containing material that builds up in cells, including neurons. The finding suggests that loss of that clearance ability may contribute to the disease. The study was published in the journal Cell. To read the abstract, visit http://www.cell.com/abstract/S0092-8674%2813%2900643-0. The material affected is a combination of protein and RNA called stress granules. RNA is used by cells to make proteins. Stress granules form temporarily when cells are under stress. The researchers found that mutations in a gene for valosin-containing protein (VCP) reduced the ability of cells to move the stress granules to vacuoles, cell structures that degrade and recycle many parts of the cell. Mutation in VCP is one cause of ALS. The research was performed by Ross Buchan, Ph.D., and Regina-Maria Kolaitis, Ph.D., under the direction of J. Paul Taylor, M.D., Ph.D., and Roy Parker, Ph.D. Drs. Buchan and Parker are from the University of Colorado at Boulder, and Drs. Kolaitis and Taylor are at Saint Jude Children’s Research Hospital in Memphis, Tennessee. Dr. Kolaitis received The Milton-Safenowitz Post-Doctoral Fellowship from The ALS Association in 2012. The Milton Safenowitz Post-Doctoral Fellowship for ALS Research Award encourages and facilitates promising young scientists to enter the ALS field. 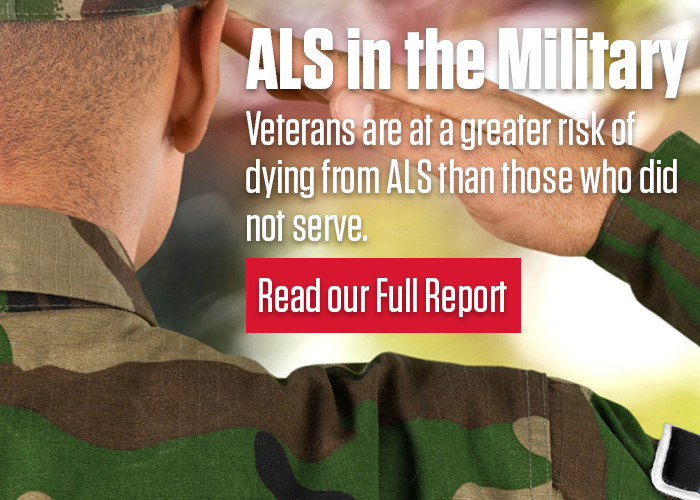 Funding for this two-year research award is made possible by the generosity of the Safenowitz family through the Greater New York Chapter of The ALS Association and is in memory of Mr. Safenowitz, who died of ALS in 1998. > Read the press release.